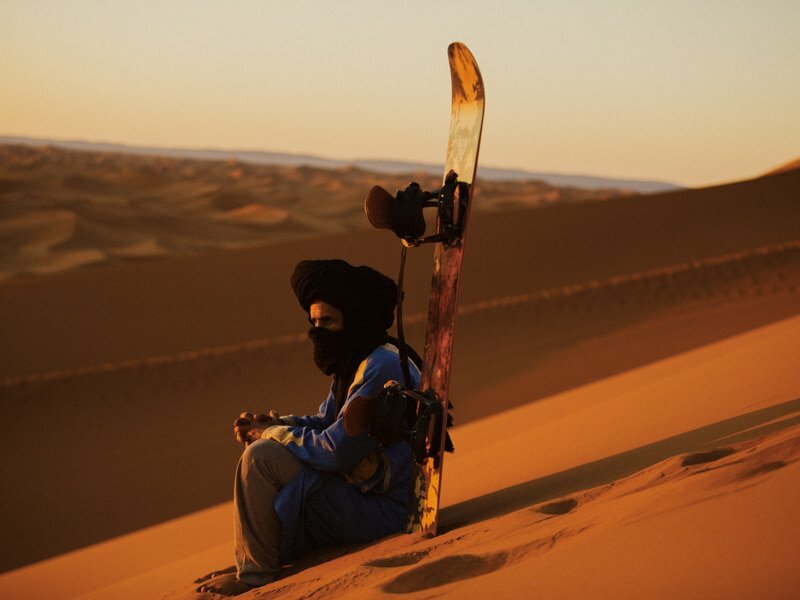 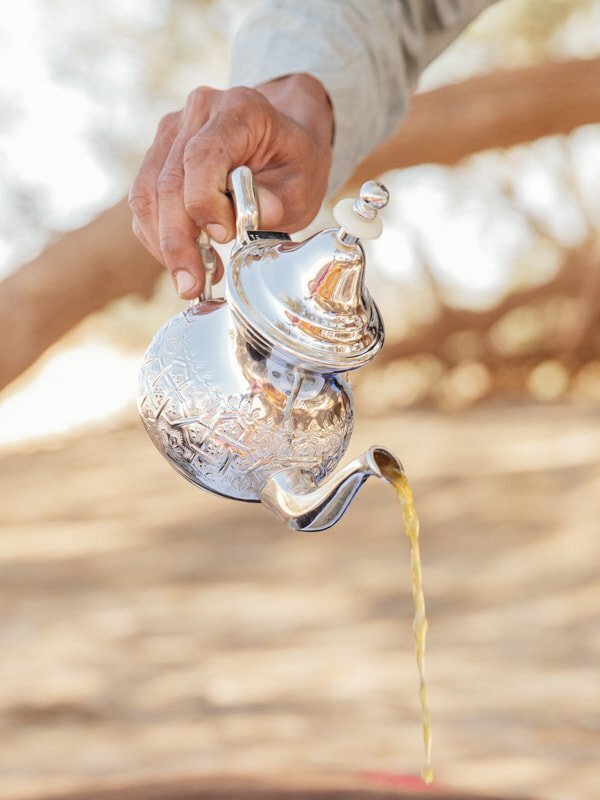 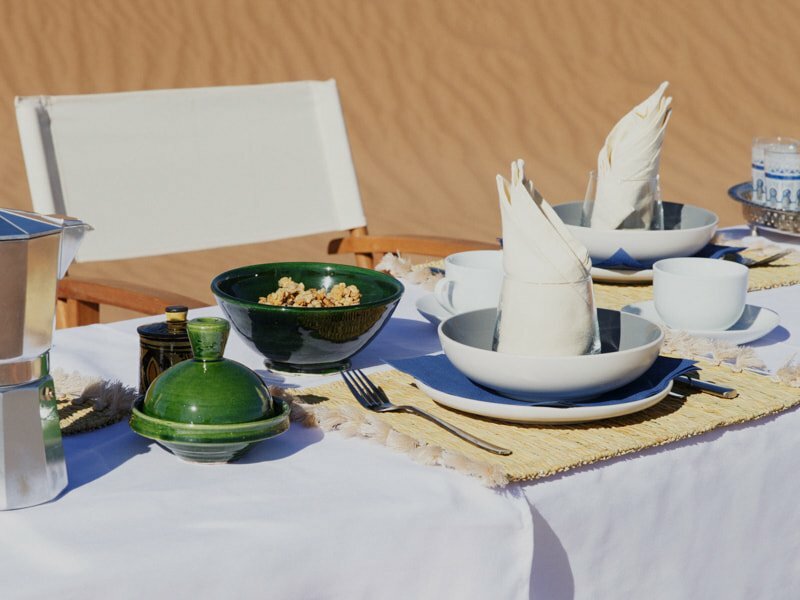 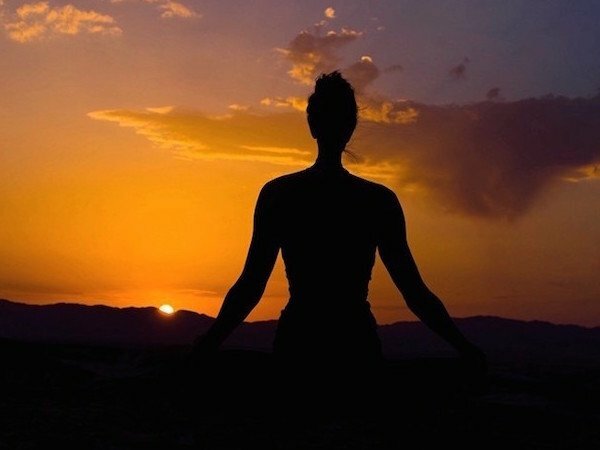 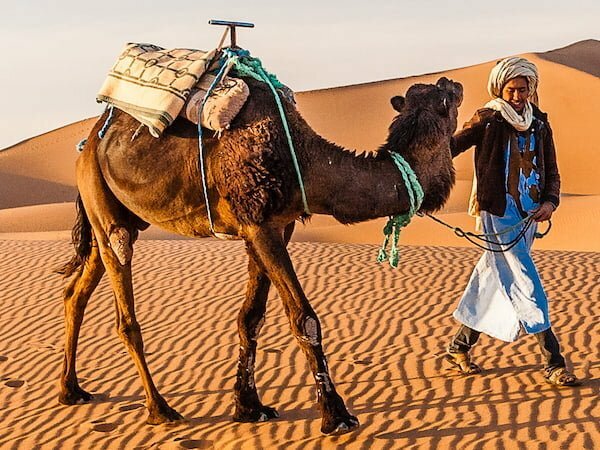 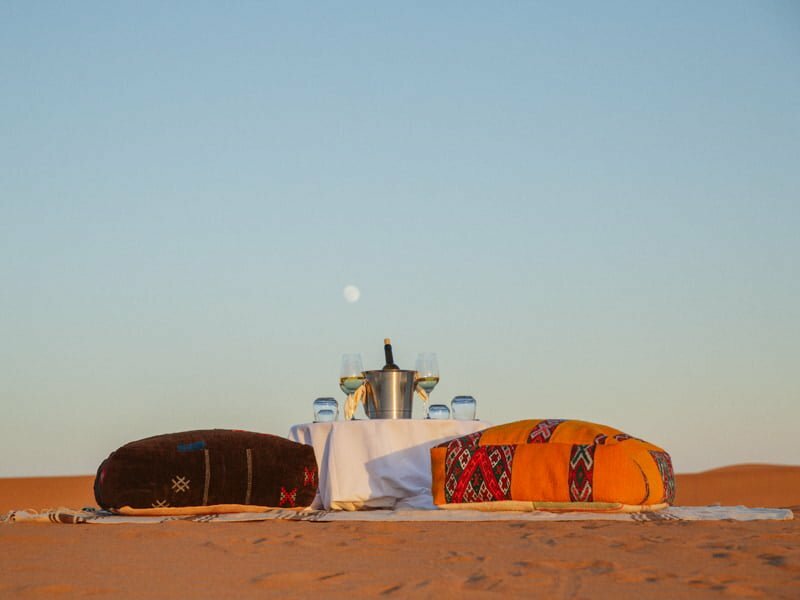 Our exclusive 2019 luxury desert camp holidays are set amongst the foothills of the high dunes of Erg Chegaga, the most beautiful area of the Moroccan Sahara. 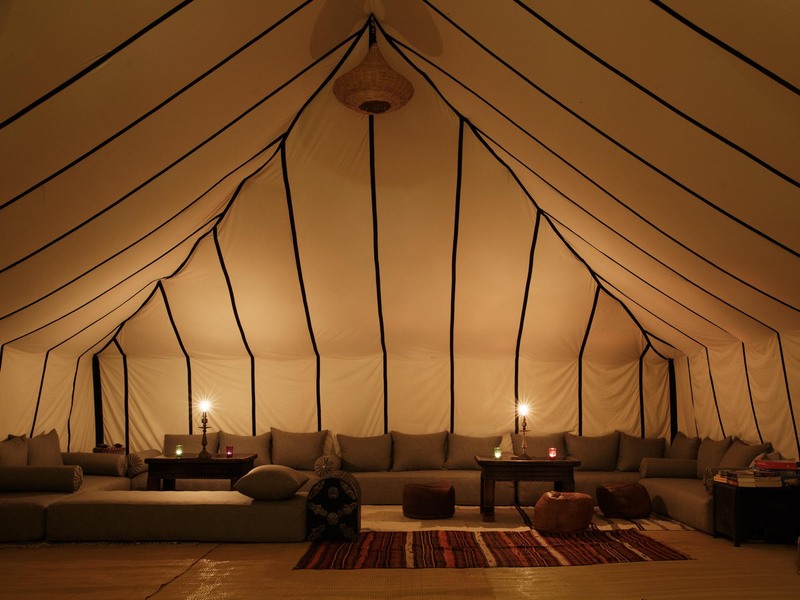 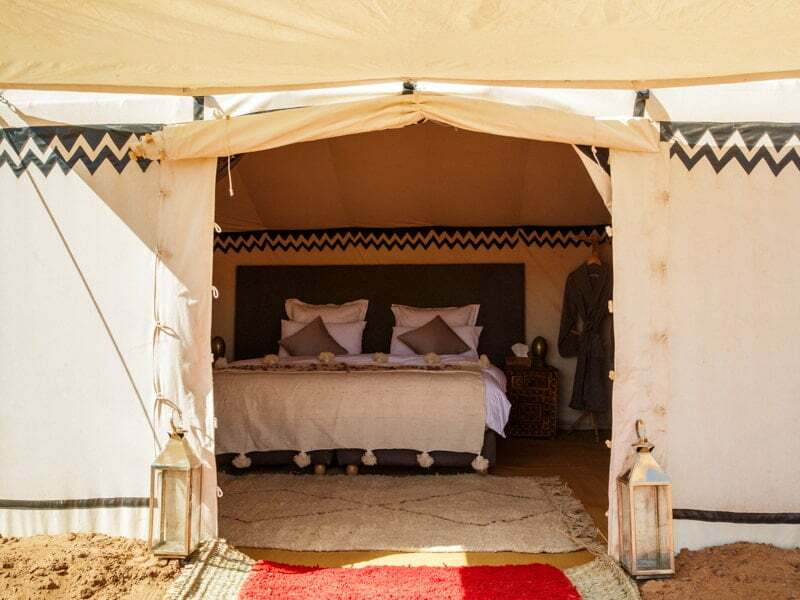 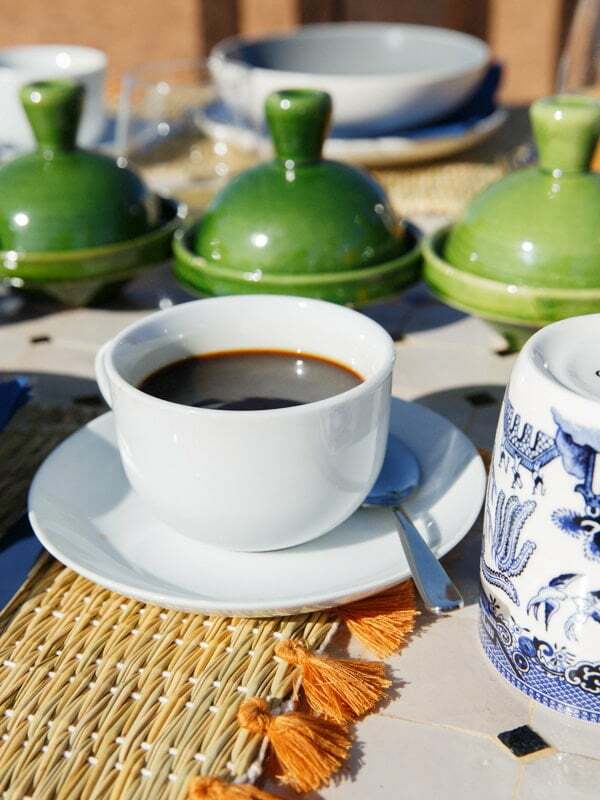 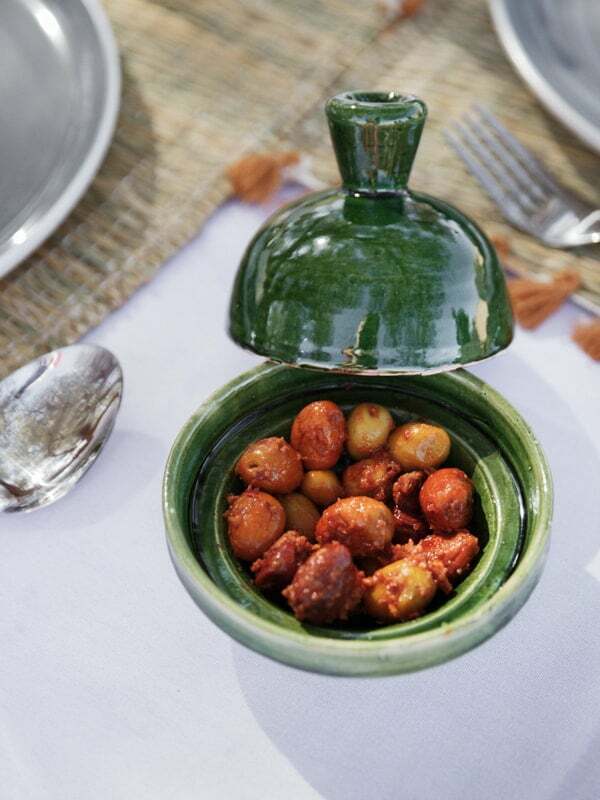 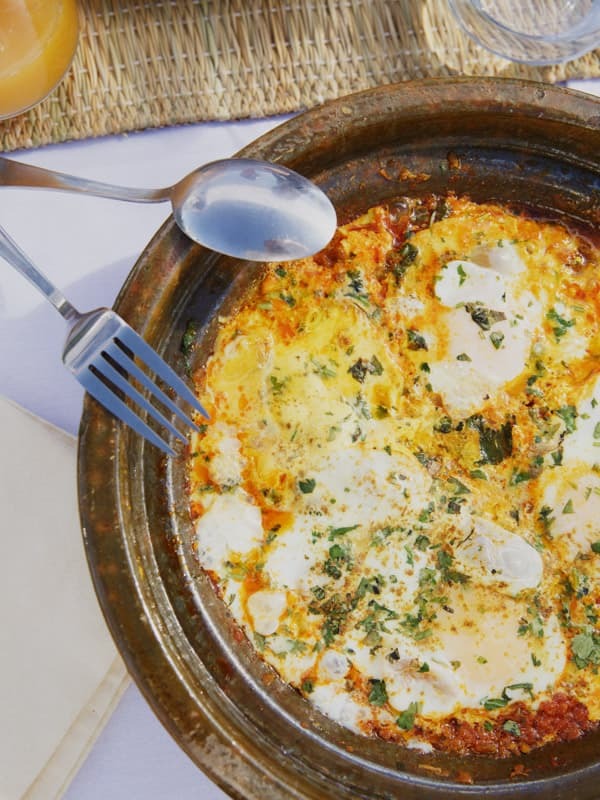 Hand-made authentic Moroccan tents with the option of king size beds or single beds, sleep up to 3 or 4 for families, with lavish duvets and pillows. 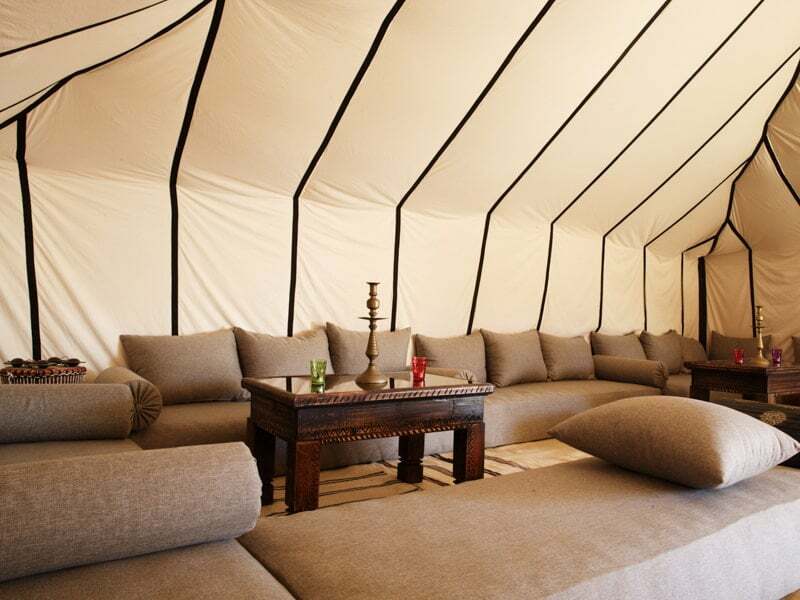 The tents sit around a stylish lounge and restaurant tent and a camp fire with rugs for unforgettable evenings under the stars. 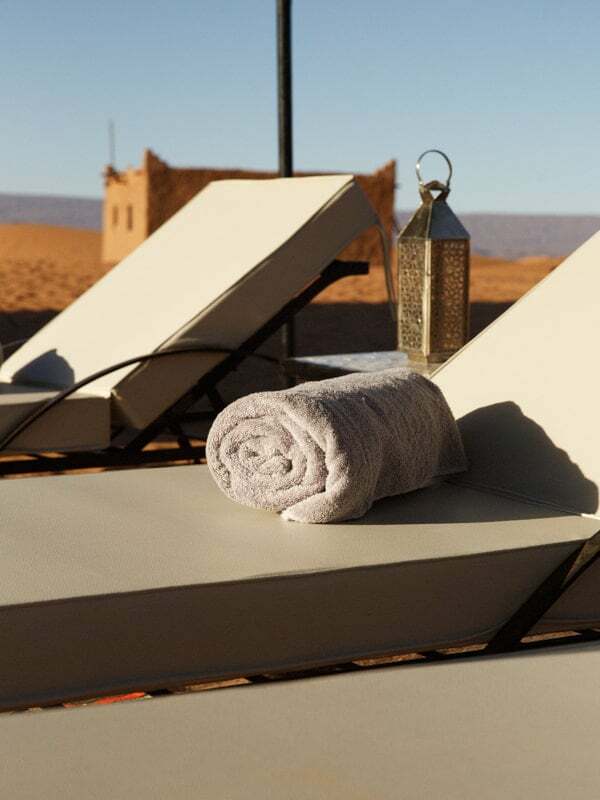 Hammocks, sun loungers and outside nomadic tents and sofas create the perfect place to get away from it all. 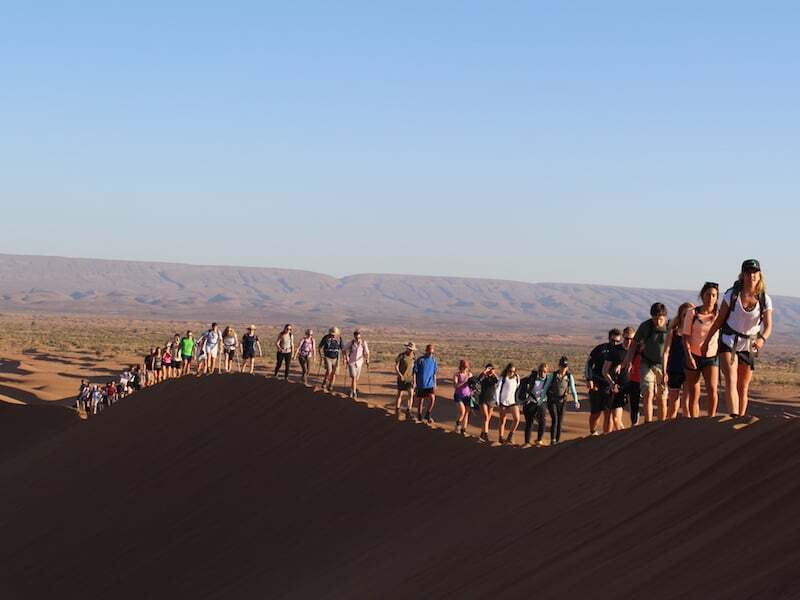 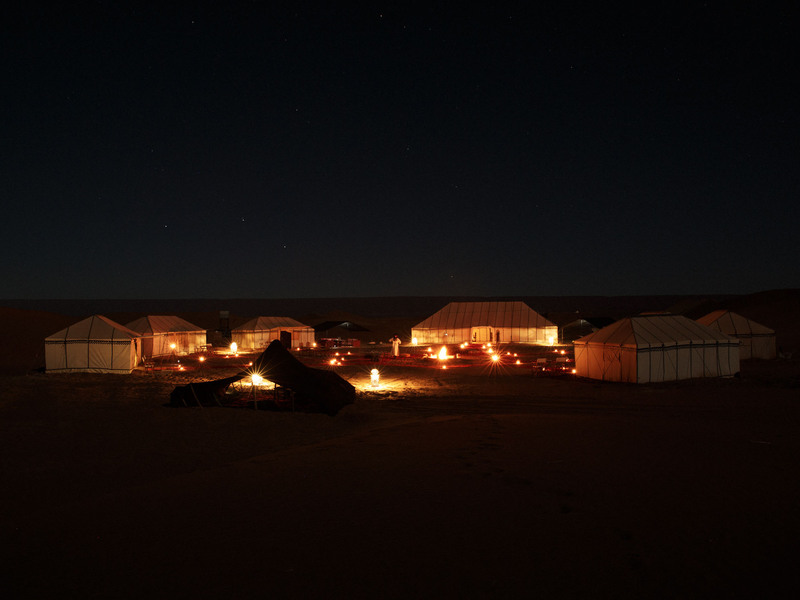 Our Erg Chigaga camping packages are available to July 2019. 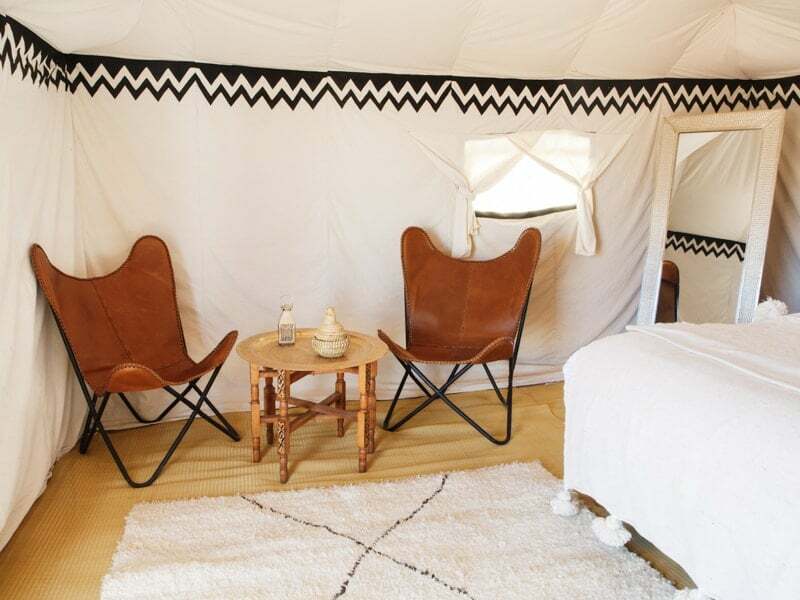 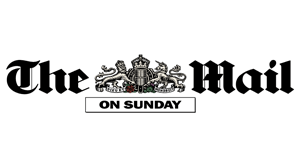 For total privacy we also offer the option of a luxury private camping holiday package. 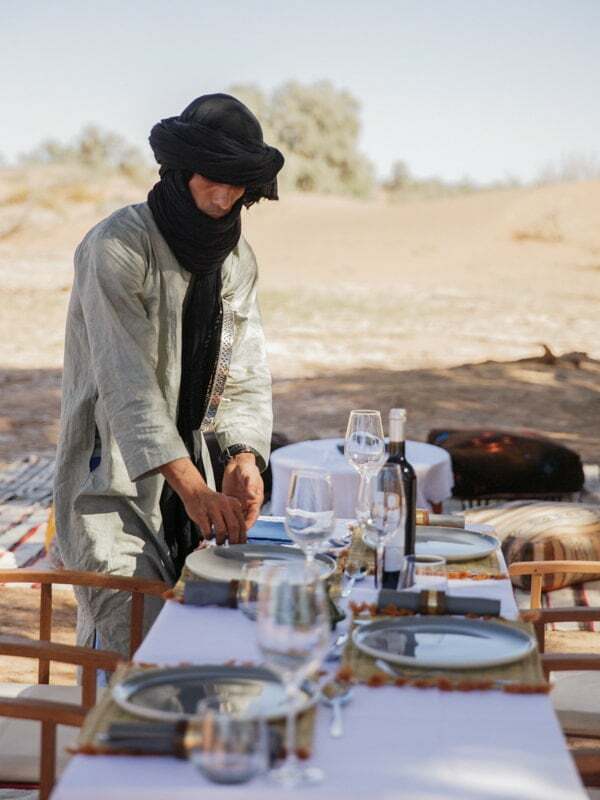 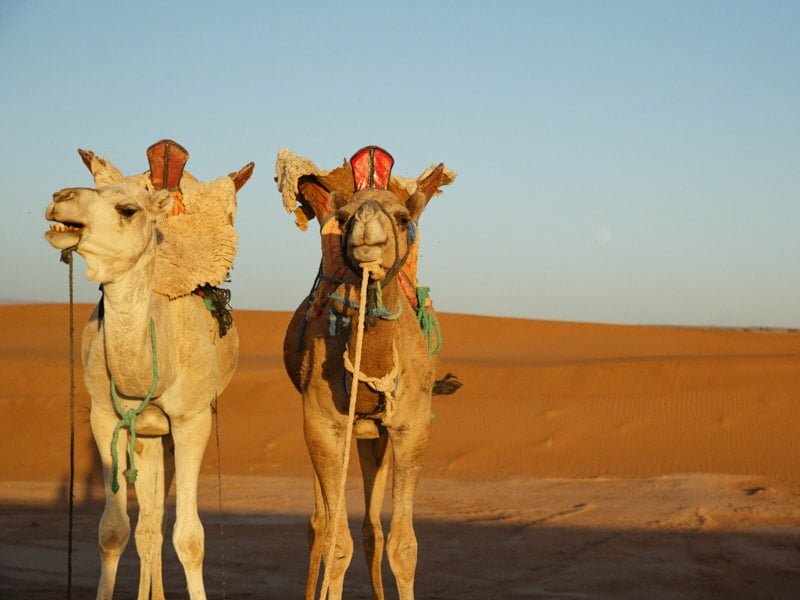 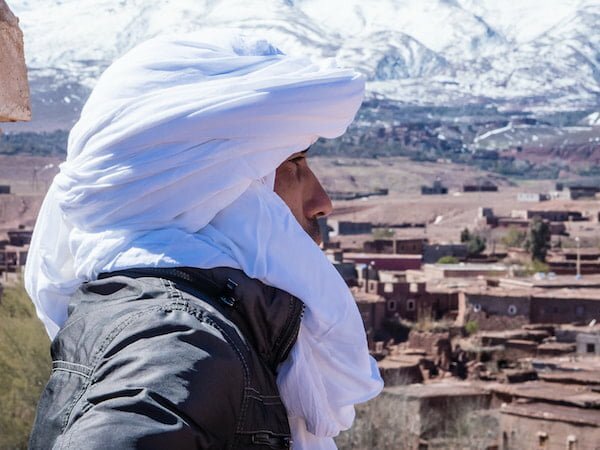 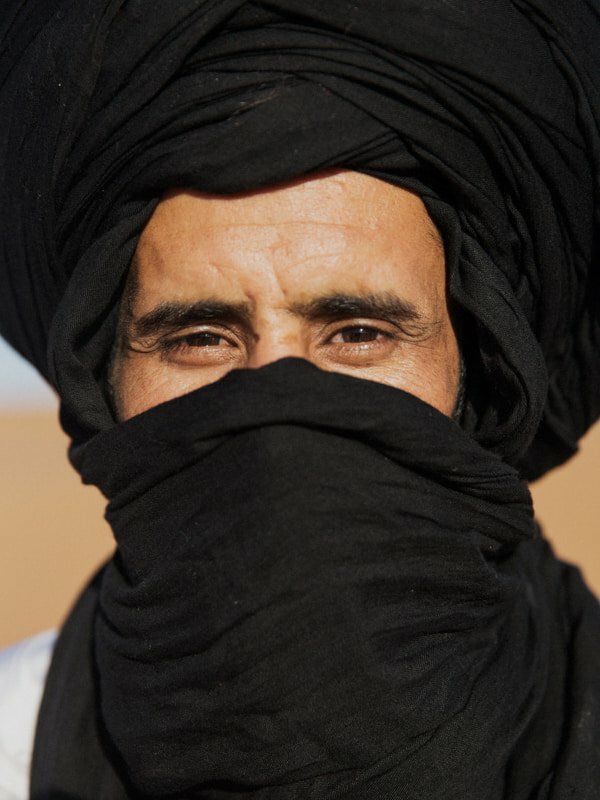 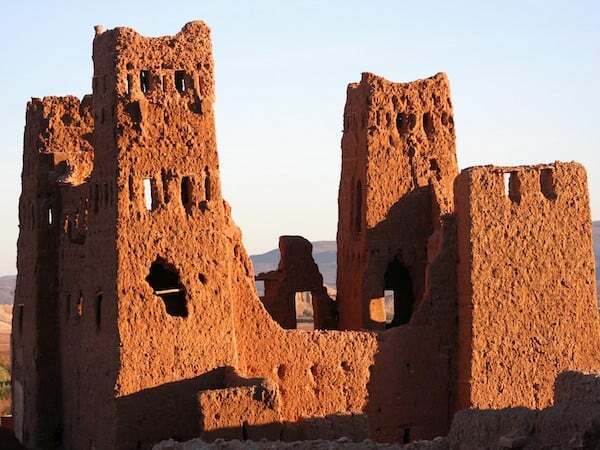 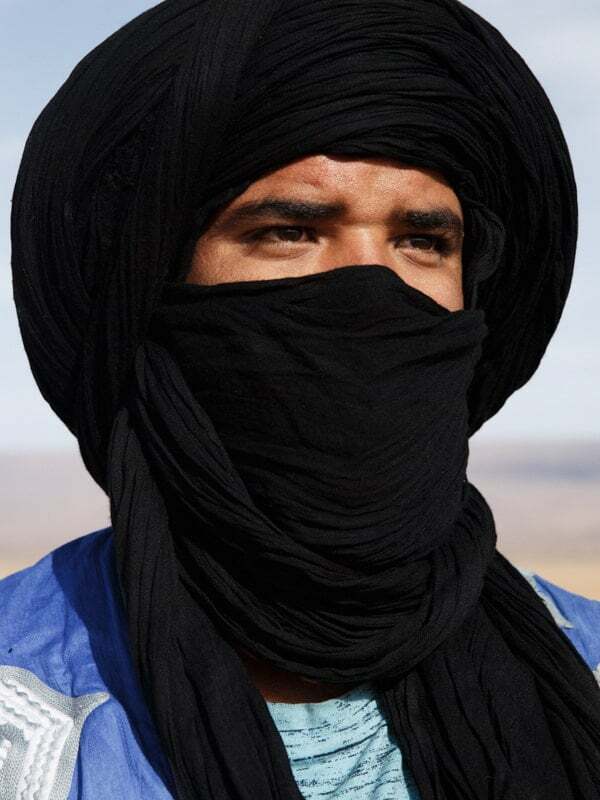 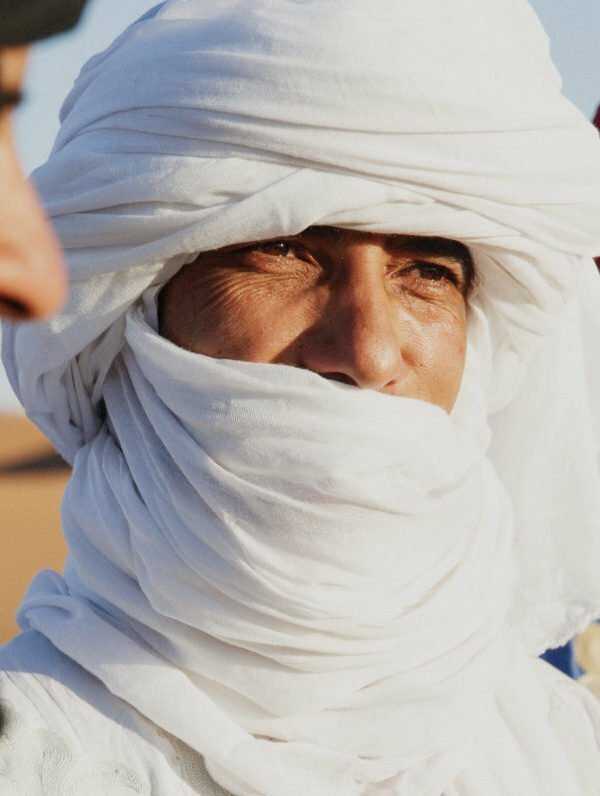 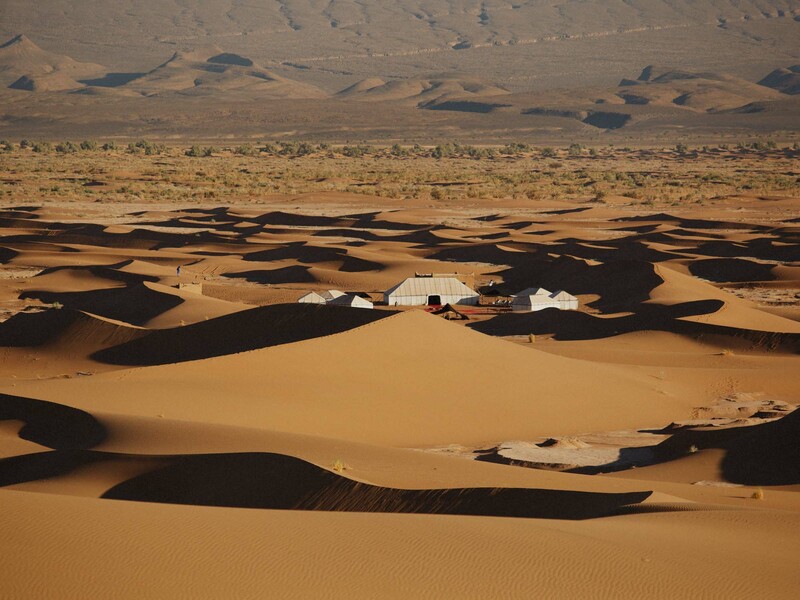 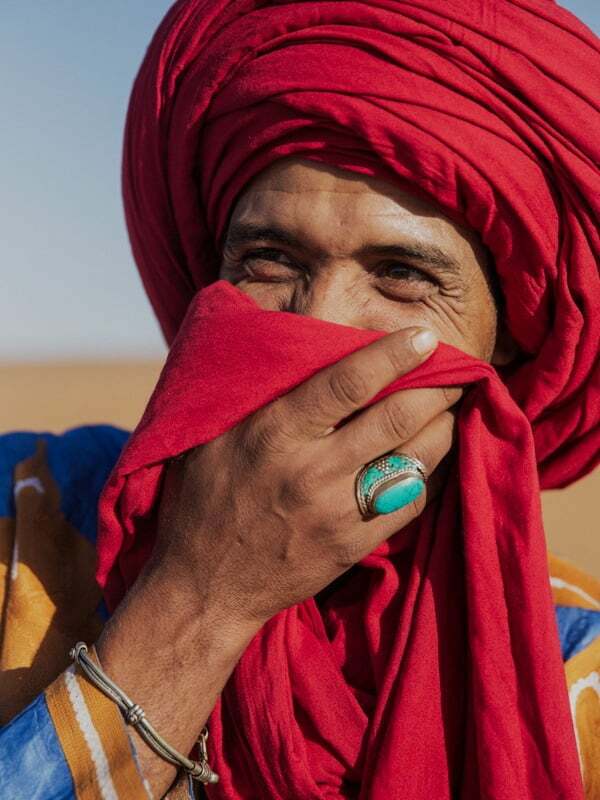 Our Desert Camp team are nomadic people from this area of the Sahara and greet you with a warm Berber welcome. 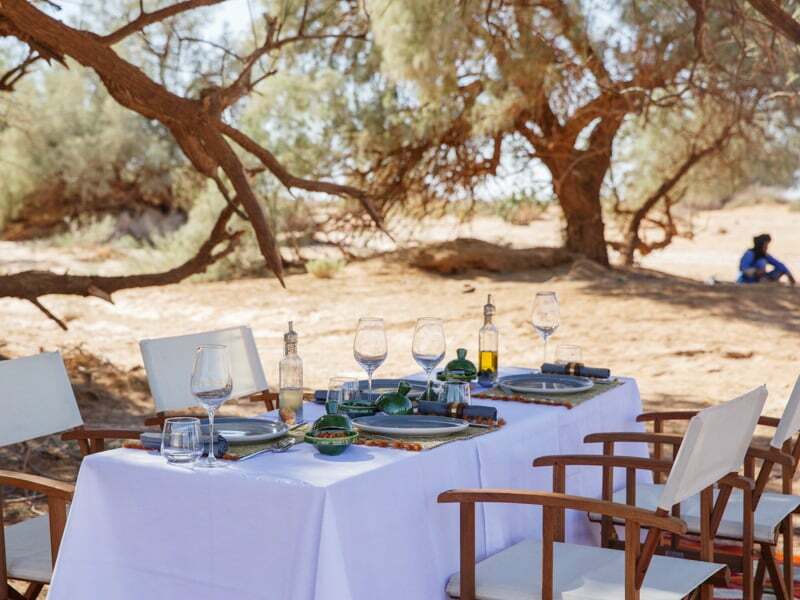 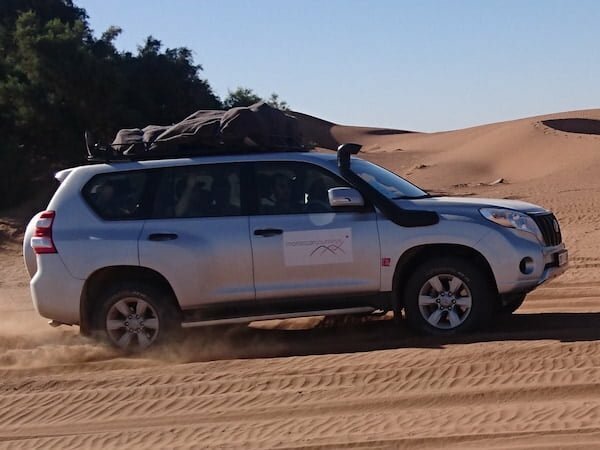 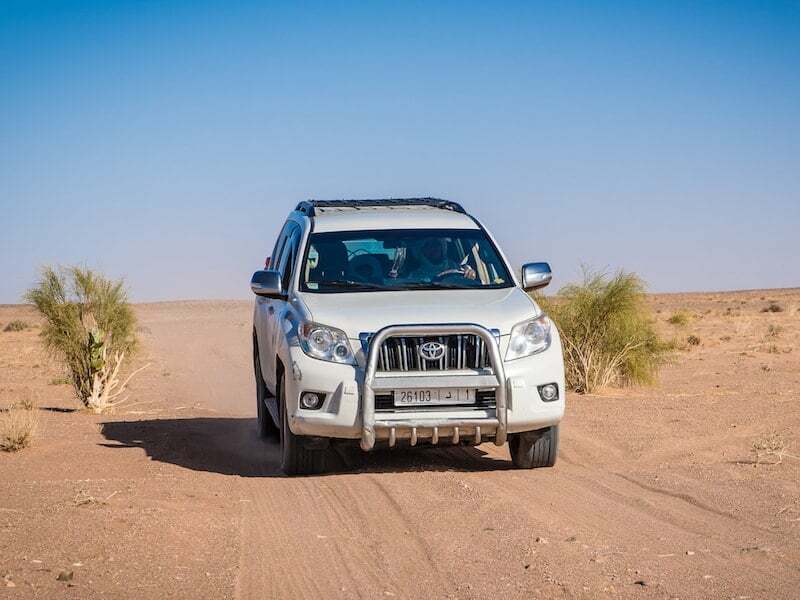 They are an experienced and caring team with high standards and will look after you throughout your holiday at the Erg Chigaga, Nubia Luxury Camp.